Thanks Alton Brown for making Thanksgiving awesome! In Alton’s recipe, he brined the turkey, but I didn’t brine mine. Preheat oven to 500°F. Move the oven rack to the lowest position. Combine the apple, onion, cinnamon stick and water in a bowl. Microwave for 5 minutes. Place the apple, onion, cinnamon stick, and dried sage inside the turkey. Put the turkey on a roasting pan breast side up. Tuck the turkey wings under the body and rub canola oil on the bird. Roast for 30 minutes. Turn the oven temperature down to 350°F and insert a probe thermometer into the breast. Set the thermometer to 161°F. 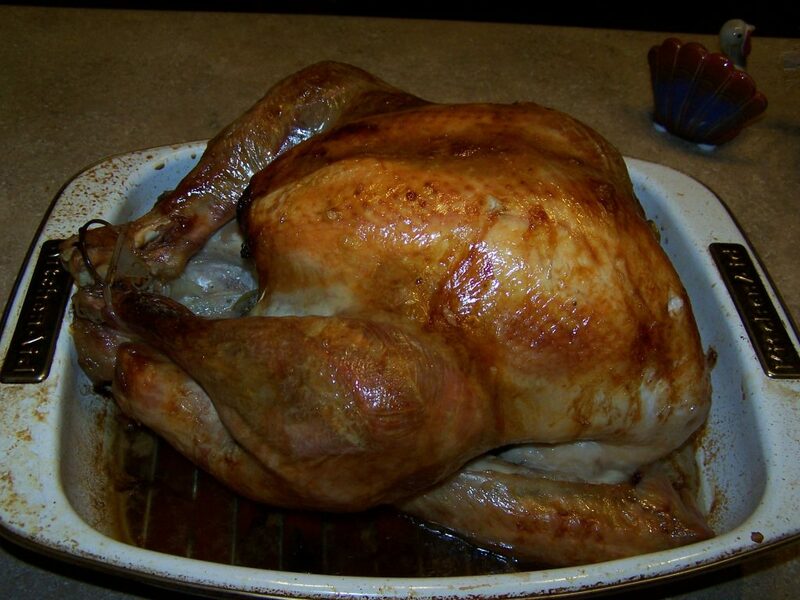 A 14-16 lb turkey will take about 2-2½ hours. My 20lb turkey took just over 3 hours. After roasting, cover with a foil tent for 15 minutes before carving.